This is an archival quality edition. I designed this book to facilitate the creativity of the co-creators who will complete it. After the Preface, the rest of the introductory section is about supporting co-author creativity. 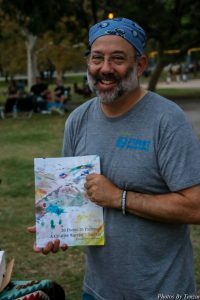 I want this book to connect communities of inspired creative support. 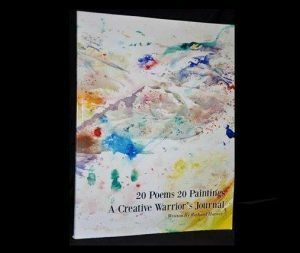 All through 20 Poems 20 Paintings A Creative Warrior’s Journal I encourage co-authors to give and receive healing support by sharing what they create. 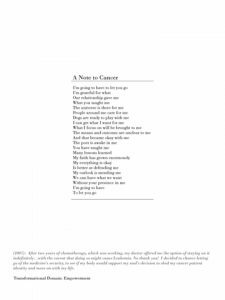 The poems and paintings I share here document my journey through brain cancer. I curated each work to help co-authors to understand what inspired it and what I learned through writing or painting it. This interactive journal has a mission: To empower people to process major life challenges using creativity and connectivity while they co-create it. 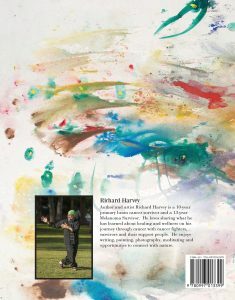 Author and artist Richard Harvey is an eleven-year primary brain cancer survivor and a fourteen-year melanoma survivor. 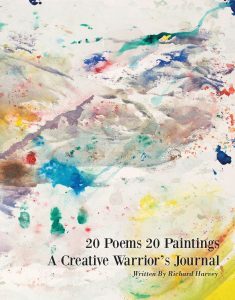 He began writing the poetry in 20 Poems 20 Paintings A Creative Warrior’s Journal in 2005, during radiation treatment. 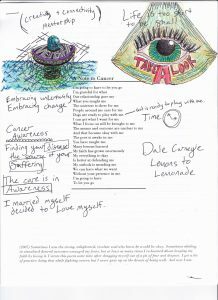 Insomnia from radiation therapy’s side effects gave him the unique opportunity to process what was happening by using creativity. Get your digital iBook today! Requirements: formatted for Mac and IOS devices: To view this book, you must have an iOS device with iBooks 1.3.1 or later and iOS 4.3.3 or later, or a Mac with iBooks 1.0 or later and OS X 10.9 or later. This is an interactive journal designed to help people process major life challenges using creativity, connectivity and play while they co-create it. This is an eBook formatted for Barnes and Noble Nook.